The Sarah P Duke Gardens in Durham is beginning to really glow with color. If you go early in the morning (they open at 8am)… there is beautiful light in the tiered gardens. Another advantage of going early is normally less wind and people! Many of their tulips are up along with a multitude of other flowers. I spent a couple of hours just enjoying all the color and springtime feel. Here is a tulip bud almost ready to bloom and covered with tiny dewdrops. 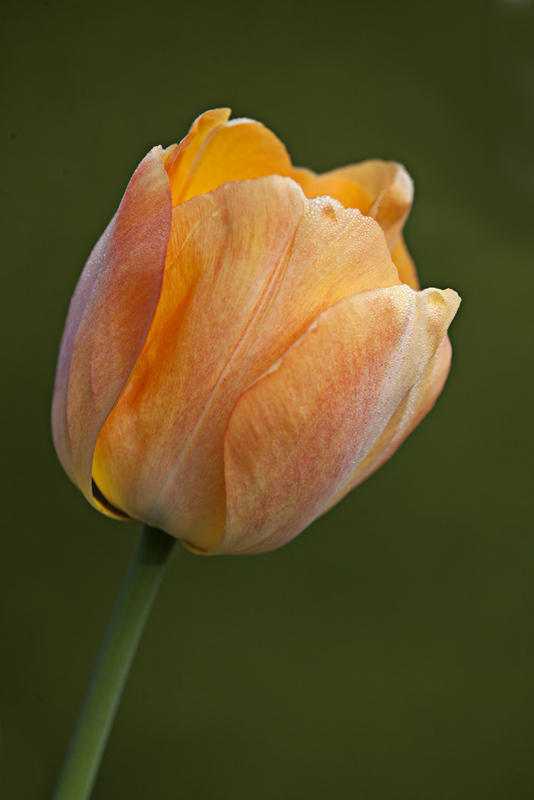 I noticed this orange tulip by itself. The morning sun gave it a nice glow. Mike Moats was at Duke Gardens too and found this flower with beautiful swirling petals. Sometimes the best flowers are the ones who are not at their best! 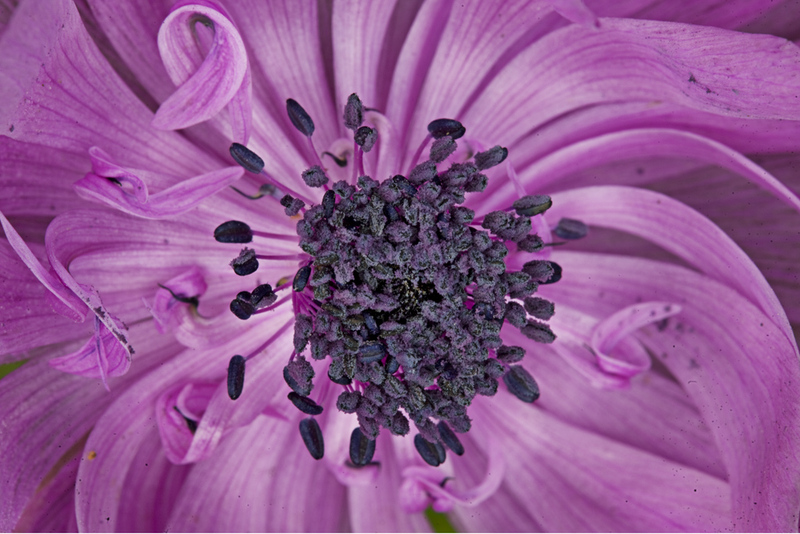 This entry was posted in Places to visit, Uncategorized and tagged Duke Gardens, Macro. Bookmark the permalink. You could spend many happy hours photographing at Duke right now! Now I may have to stay a couple of extra days instead of just one. Thanks again for the information.